The rivalry between networking gear giants Cisco (s CSCO) and Juniper (s JNPR) has extended across routers, wireless products, and security services for years. But now it’s extended into a seemingly unusual area: the smart grid. While Cisco recently announced its strategy to develop and sell an end-to-end smart grid network product to utilities, Juniper has been quietly focused on providing networking gear to utilities much deeper in the grid, spanning from the utility’s data center back into the substation (which houses all those big transformers). At the GridWise Forum this week, Juniper’s Eric Toperzer explained Juniper’s target smart grid markets to me, including a partnership announced this week with IBM to provide gear and software to connect with IBM’s smart grid network management software. That IBM and Juniper link up is an interesting move in itself, and one that could help those two team up against Cisco. IBM (s ibm) and Cisco haven’t necessarily been competitors in the smart grid to date — with IBM selling consulting, design and software services, and Cisco trying to stay closer to its hardware network roots — but going forward, I think there will be more and more overlap and rivalry between these two giants. With Juniper, Cisco’s long time rival, siding with IBM, that competition could get even more heated. Juniper’s Toperzer says Juniper has around a thousand utility and energy customers already buying its networking hardware at the substation level. The deep grid network market might not be as big compared to an end-to-end smart grid network play, but Cisco has nowhere near that amount of utility clients. To date, Cisco has announced that it is working with utilities like Duke Energy, Florida Power & Light, Germany’s Yellostrom, and Canada’s Enmax. 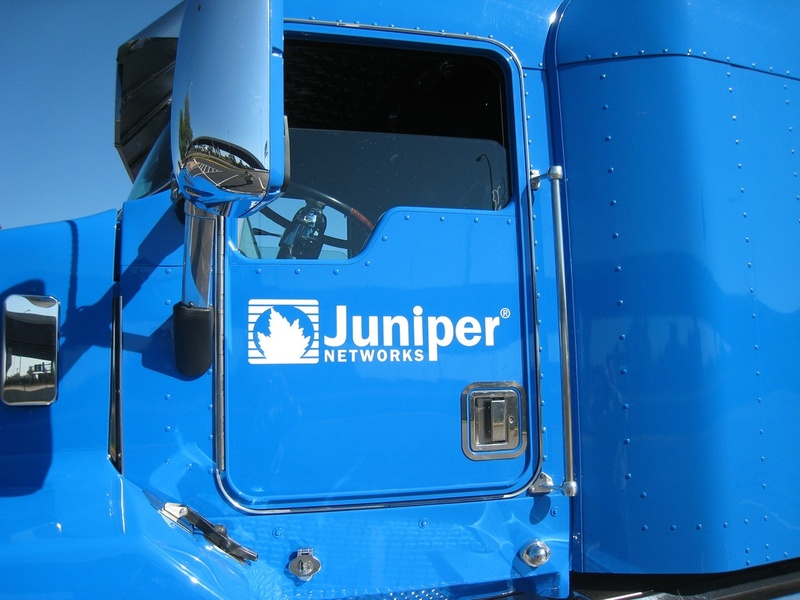 Toperzer says that Juniper has no plans to offer an end-to-end product, so in that respect Juniper has slightly different smart grid intentions to Cisco. But in reality, Cisco has yet to offer an actual end to end product, so its router and grid switch, which are based on its traditional networking products but have been built specifically for the utility environment, seem to still be as solidly in competition with Juniper as any of the cutthroat competitors products have always been. Toperzer tells me that Cisco and HP (s HPQ) are Juniper’s biggest rivals in the smart grid space. Image courtesy of Ed Kohler.